Rats gets a bad rap, but, to be fair, they deserve it. And no one wants a mouse in the house (unless it’s a pet in a cage). In fact, the mouse is the. Rats gets a bad rap, but, to be fair, they deserve it. And no one wants a mouse in the house (unless it’s a pet in a cage). In fact, the mouse is the second most destructive vertebrate in the world after their cousin the rat. These rodents are after the food you eat and want to nestle down in the furniture you sleep in. They enter through cracks in the foundation and walls and use your home's internal structure - plumbing and vents - to move around, assuring the spread of contaminated nesting material, feces, and urine and body hairs. Rats and mice are tenacious, adaptable, and they breed prodigiously. Now we don’t need to tell you that having a rat or mouse infestation is a bad thing. But let's expand on that and give you our top 10 things that every homeowner should know about rodents. The brown rat is also known as the Norway rat, wharf rat, sewer rat, common rat, barn rat, and water rat. The brown rat and the black rats are rats that can be found in virtually every country in the world thanks to their skill at stowing away on ships. Norway rats and roof rats are the two most common rats to invade homes and buildings. A pair of rats can produce as many as 2,000 offspring in a year if left to breed unchecked. A female rat can mate as many as 500 times with various males during a six-hour period. By the age of three months, the brown rat is ready to reproduce. Rats typically live around two or three years. With mice, adult females go into heat every 4-5 days, and average 5-6 babies per litter up to eight times a year. The grey house Mouse and deer Mouse are the two most common among mice that invade homes and buildings. Their body length can range anywhere from 21/2 to 4 inches; body weight is less than one ounce, and average life expectancy is up to one year. Mice prefer to eat grains, but will eat anything humans eat. Rats prefer to eat meat, fish and grains. Like mice, rats are colour blind, have poor sense of vision, but a very keen sense of smell. Rats are notoriously resilient. They can tread water for three days and this is why they can survive being flushed down the toilet. They can fall from a height of 50 feet and remain uninjured. They never sweat, because they are able to control their temperature by constricting or expanding blood vessels in their tails. Rats and mice are known to carry and spread many harmful diseases, with the most famously being the Black Plague, which was transmitted by black rats. Fleas that lived on the black rats transmitted the Yersinia pests bacteria to millions of unwitting victims. Mice also spread the hantavirus, salmonellosis and listeria through their urine, droppings, saliva and nesting materials. A rat’s teeth are harder than iron or steel, and are easily able to gnaw through substances like cinderblock and wood. They are clever, notoriously trap shy, and can squeeze through openings as small as a quarter. Mice can enter your home through even the smallest openings. This makes it difficult to completely rodent-proof your home. One of the most obvious signs of a rat infestation is the presence of dead or living rats. Rats prefer to hide, given enough space, so if rats are observed in plain sight, it is likely that a full-blown infestation already exists. Rat droppings may be present and also tend to leave dirt or grease marks along walls and floorboards. If you have discovered mouse droppings or nesting material, heard noises in your walls or attic (mostly at night), or have seen signs of food packaging being chewed, you most likely have rodents in your home. Remove all food sources. Check for food that might have been spilled behind the fridge or under the furniture. Make sure all stored food - cereals, flour, rice, etc. - are put in sealed containers. Put outdoor garbage bags in metal bins with securely fitted lids to stop them feeding from contents. Seal points of entry into your home with sealant caulk. Tidy inside your home and around the garden - less clutter means less places for rodents to hide. Check roof decking along gutter lines and check door sweeps and overhead garage doors for proper fit. Trying to dispose of the pests yourself can be tricky. Using store-bought rat or mouse poison has its drawbacks. It is dangerous for children and pets, and even if it works as advertised, you still has to deal with the bodies, and the smell, of the dead rodents. If you have spotted signs of a rat or mouse infestation, you should call your local professional pest control company right away. Rodents aren’t all bad though. Brown rats are used in laboratories for research, and nearly all modern medicine is tested on mice before they go to human medical trials. Rats and mice are also a good food source for eagles, hawks, owls, weasels, snakes, and even wild cats and dogs. 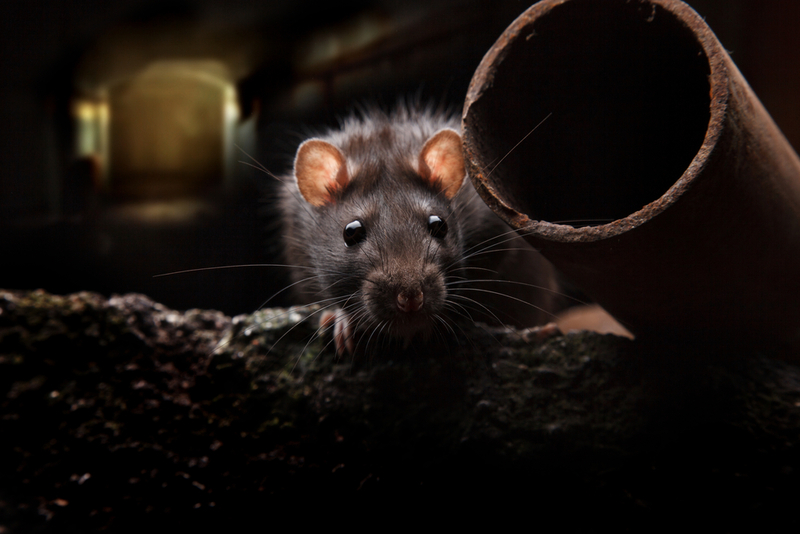 Rats and mice are a big problem in any city, and Kelowna is no exception. To ensure your home doesn’t get overrun by these varmints, BugMaster offers an inclusive baiting and monitoring system, which allows us to monitor your bait stations periodically, as opposed to daily when traditional spring trap methods are used. For larger infestations, a combination of spring traps and bait stations may be used. In short, we have the skills, the experience, and the state-of-the-art tools to eliminate any infestation. Contact us for professional pest control in Kelowna, Vernon and Penticton today.